What are We Marketing- Jesus or Cru? This is the 2nd post in the series “Marketing Jesus on the Quad”. Click to read the 1st post. I know. I don’t like the thought of “marketing Jesus” either. So for simplicity, I’ll use the term “marketing” (my goal is not to split hairs over semantics but to think through how we can better communicate the good news to this generation of college students). As I’ve chewed on the implications of horizontal marketing for college ministry (see my initial post for an intro), I keep coming back to: we’ve got to figure out what we’re “selling”. What ideas are we hoping students will spread? What exactly do we want students to talk about? We want students to talk about Jesus. 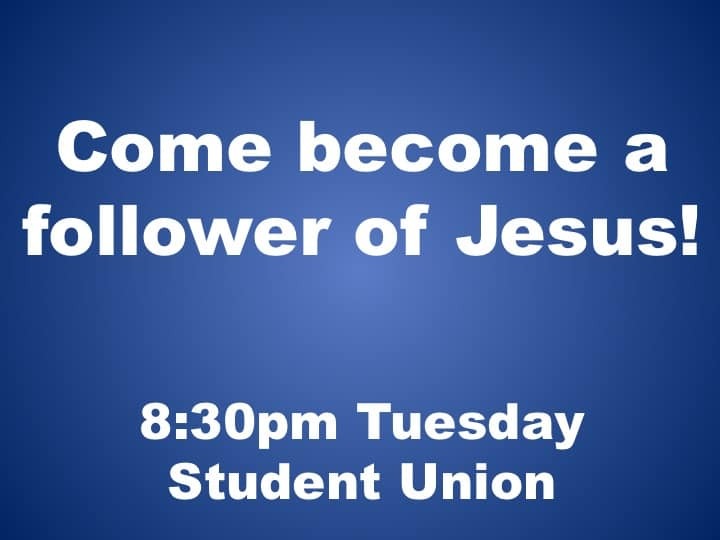 Think about it: why don’t we just put up posters on campus that say “Come become a follower of Jesus – 8:30 – Tuesday nights”? Why is our lead foot often to “sell” Cru? And is that wrong? We are unapologetic in wanting to students to passionately promote Cru. Because we know that through getting involved in a movement like Cru, students will encounter Christ and join His mission to seek and save the lost. Seth Godin captures this thinking well in his book Tribes. It’s essentially a how-to book on how to create a movement that will change the world. And what is the main ingredient? “Humans need to belong . . . and connect around an idea”. A movement like Cru provides the key ingredient that will get over student’s indifference and/or antagonism toward God: belonging. Getting swept up in a movement of peers who love and wholeheartedly serve Jesus. Many students need to belong before they believe. How do we make it easier for them to talk about Jesus? How do we make it easier for them to talk about Cru? We want to help our students learn, especially in a new world of social media, how to easily share with their friends what is most important to them (Jesus). But we also want to make it easy for students to passionately persuade their lost friends to join a movement of believers (Cru) where they will encounter Jesus. So I would love to take on each of these in separate posts in the next few days in hopes that, together, we can figure out how to better accomplish each. What are you thoughts? What are we marketing- Jesus or Cru? Is there room for both? Love this video that Michael Allen (an intern on our team) made. I love how it captures young faith. The only “old” leader is a sophomore. All the others are freshmen who are trusting God to take a step of faith and lead a study next year (actually there’s one junior girl who will be leading for the first time). We showed it at our weekly meeting to encourage students to lead next fall. Here’s our online application that we are having students fill out (nothing fancy – just a google form). The new age of marketing is great news for college ministry. Every year we spend less and less on traditional advertising. When I first came on staff with Cru we would spend hundreds of dollars on a single ad in the School Newspaper. Even as recently as 3 years ago we invested thousands on yard signs, facebook ads, and posters around campus. Now we almost exclusively do free “advertising” on Facebook and peer-to-peer word of mouth. This graphic does a great job summarizing this new era of Horizontal Marketing. It’s well worth clicking to read the full infographic (graphic via @mcryanmac who tweeted “This has very interesting implications for how evangelism on campus moves forward”). I want to take a few posts and figure out together what this new era of marketing looks like in College Ministry. 1) What are we marketing? How can we make it easier for students to talk about what they’re up to and what they care about? What are some implications you see of how we apply Horizontal Marketing in college ministry? (How can you not love lyrics like The National’s “It doesn’t work that way: Wanting not to want you doesn’t make it so”. 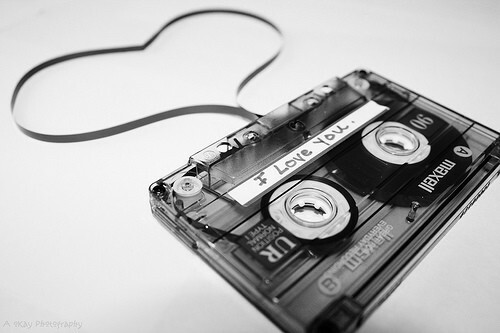 Would love to hear from you: what are your favorite Love Songs and Not-So-In-Love-Songs? Every week we start our staff meeting with sharing: “How have you seen God at work on campus this week?”. Always my favorite part of the meeting! But we recently realized that most of that good news of God at work is staying within the four walls of our staff meeting. As we celebrated how God is working, we never took the time to pass on our excitement to the students whom God is using. THEN we spend 10 minutes texting students our team has shared about. 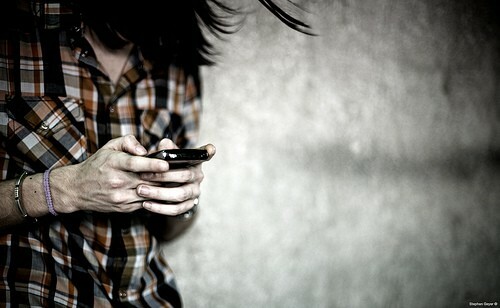 And we make sure that someone other than the staff that’s discipling them (or knows them best) texts them. Hopefully they’re frequently hearing encouragement from their discipler but sometimes it means even more coming from someone else. This small investment of time has been huge in helping us be more intentional in encouraging students and saying “what you are doing is significant”. Would love to hear from you other ideas you have to be intentional in encouraging those you serve in ministry. The first step toward leading people to become evangelists is to lead them to the waters of the Gospel. A willingness to speak comes from a heart that is smitten by the only person in the universe worth talking about, and possibly looking foolish for. In celebrating someone’s conversion, we are celebrating evangelism. People need to know, especially in the Bible Belt, where Christianity is a cultural relic, that the Holy Spirit is alive and well, making disciples and building God’s Kingdom, and that they themselves can be a part of it. This celebration has awakened many to tell others about Jesus for the first time in their lives. Literally, evangelism begets evangelists. Application for us (on this last part): at our weekly meeting we’ve started showing weekly videos of students experiencing life change). Why you need to learn and memorize a clear way of explaining the gospel. A good apologetic on why you should learn a gospel tract (among other things). A friend suddenly says to you, “Okay, tell me what this Christianity stuff is all about.” What would you say? 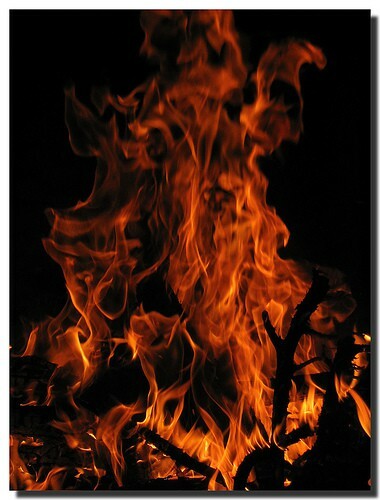 Could you explain the gospel clearly in that moment? Here’s the deal: if you think when the moment finally comes and your friend is ready to listen, that the gospel will flow “instinctively” and smoothly off your lips because, after all, you’ve been a Christian for years, you are wrong! It will come out of your mouth and fall on the floor in a muddled mess. To be effective witnesses we must work at being able to take what we know in our heads and hearts and clearly express it out of our mouths. Similar thinking (that’s verbalized in this article) has led me in recent years to a newfound love for the Knowing God Personally tract. Strongly encourage you to read the entire article. HT to @pablonunez for tweeting about this article – hooray for Twitter! What are your takeaways from these two articles? photo courtesy of . SantiMB .